After arriving in certain European countries not long ago, the Android 5.0 Lollipop update for the Galaxy S5 has finally made its way to the United States. Oddly enough, it's the Verizon variant of the Galaxy S5 that is receiving the update before any of the other carriers. The changes listed on Verizon's page for the update are below, and they include both changes made in Lollipop and Samsung specific changes that relate to Touchwiz. Brighter look and feel, bold colors, fluid animation inspired by material design. Floating action buttons provide easy access to the app’s most important features, such as adding a new contact or favorite, or composing a text message. Priority notifications such as events and reminders, phone calls, and messages can be set up to sound or vibrate while all other notifications are muted. The Verizon document also has pictures that accompany the changelog so users can see what visual changes are heading their way, and any interested users can view that PDF in the source below. The rollout is staged, and users shouldn't be concerned if their device currently doesn't show any updates available. 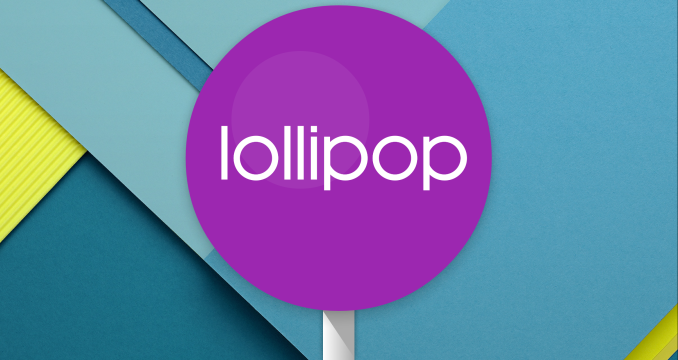 It's good to see more devices receiving the update to Lollipop. Enough devices have been updated for it to show up on Google's platform version dashboard. In January less than 0.1% of Android devices were running Lollipop which meant that it was not displayed in the chart or on the graph. Still, at 1.6% of all Android devices, one can only hope that the adoption rate increases so more users can experience the latest version of Google's operating system.